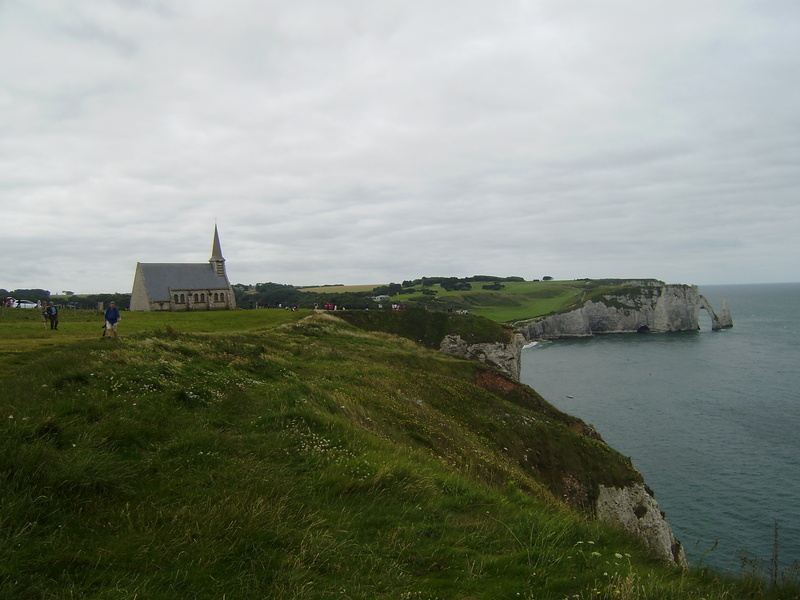 In my occasional travels around wonderful France I have learned that all parts of it are beautiful and special in their own ways, and visiting Normandy only corroborated that conclusion. Spending enough time in the region allows you to see its different faces: long sandy beaches, posh tourist resorts, sleepy villages, bustling ports, historic routes and beautiful wildish nature. While planning our trip, we naturally tried to encompass everything that Normandy has to offer in a few days, but one of the things that we wanted to explore more than anything was the Alabaster coast (Côte d’Albâtre), overlooking the English Channel, imagining it as a never-ending span of raw, powerful nature, strong winds, big waves and sharp, fresh air. And as usually, we got everything we wanted. And more! According to the legend describing the founding of Fécamp, in the 1st century a trunk of a fig tree (ficus) that carried the blood of Christ washed ashore on the riverbank and caused gushing of a fountain of holy blood from the site. The legend and the relic attracted many pilgrims during the middle ages and sealed the somewhat spiritual reputation of the town. 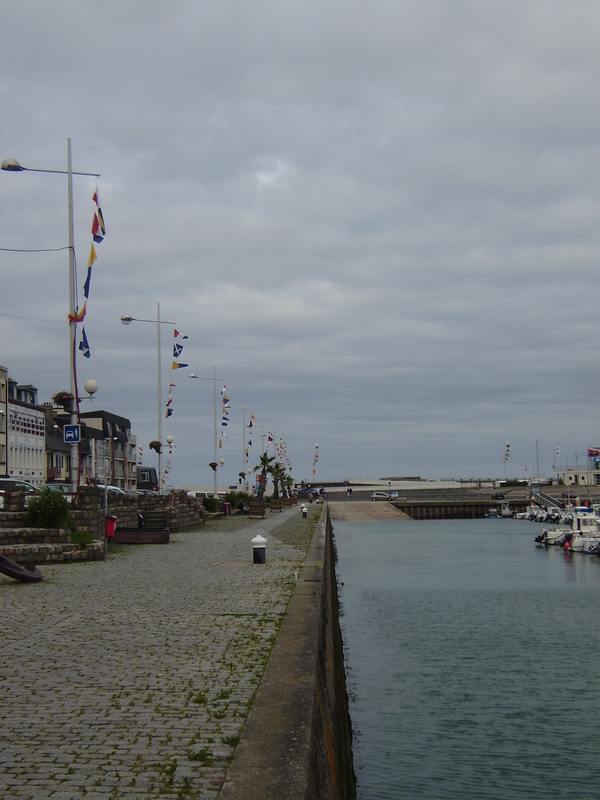 Today’s Fécamp, however, rather than religion, revolves around its harbor (first mentioned in the 11th century) and the fishing industry. Its characteristic architecture and feel, combined with foggy, windy weather reminded me of English coastal towns on the other side of the Channel and gave the impression of having wandered into one of Agatha Christie’s crime novels. 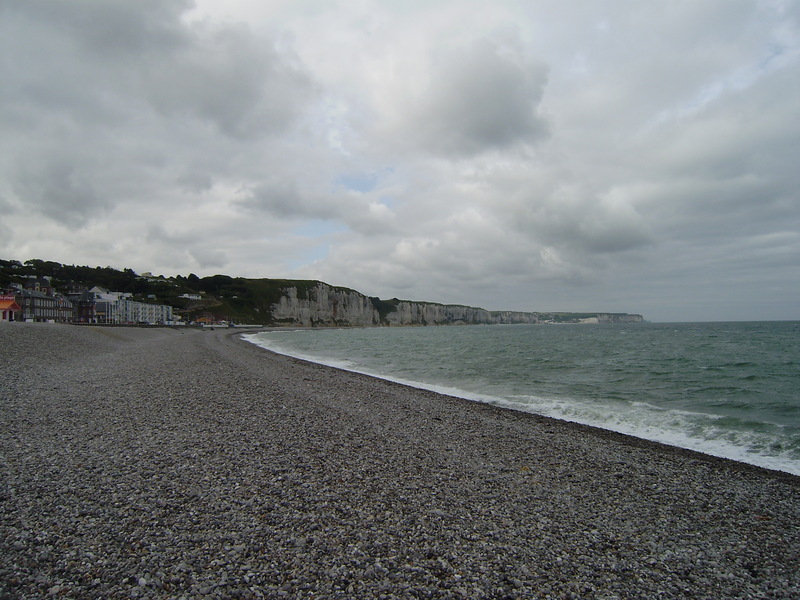 In the morning of our visit, Fécamp looked as a quiet, sleepy place safely sheltered from the sea by a mound that you have to climb in order to get to the beach. The climb rewarded us with the introduction to one of those essential Norman natural experiences: restless sea and strong, cold, loud wind that tried to overpower us, forcing us to let go and just… go with the flow. 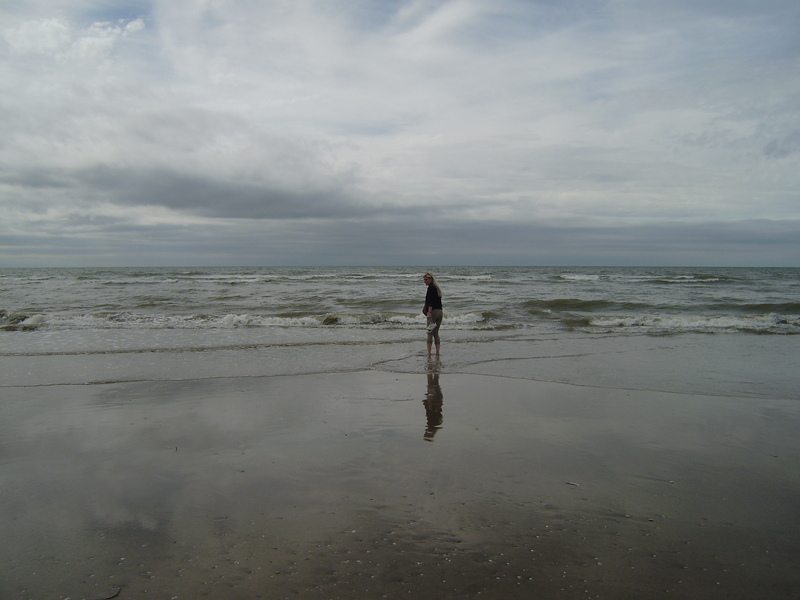 Our clothes, hair, everything became in intertwined into a wet whirl of cold air and salty sea, and even taking photos presented a problem, since it seemed that the wind didn’t like the paparazzis. We enjoyed the clash with Nature immensely, trying to relax and let the natural elements do of us what they please. It was freezing and loud and wet, and we knew that the wind would probably give us massive headache, but the hypnotic experience simply does not allow you to just walk away. What do Eugène Boudin, Gustave Courbet, Claude Monet and Guy de Maupassant have in common? 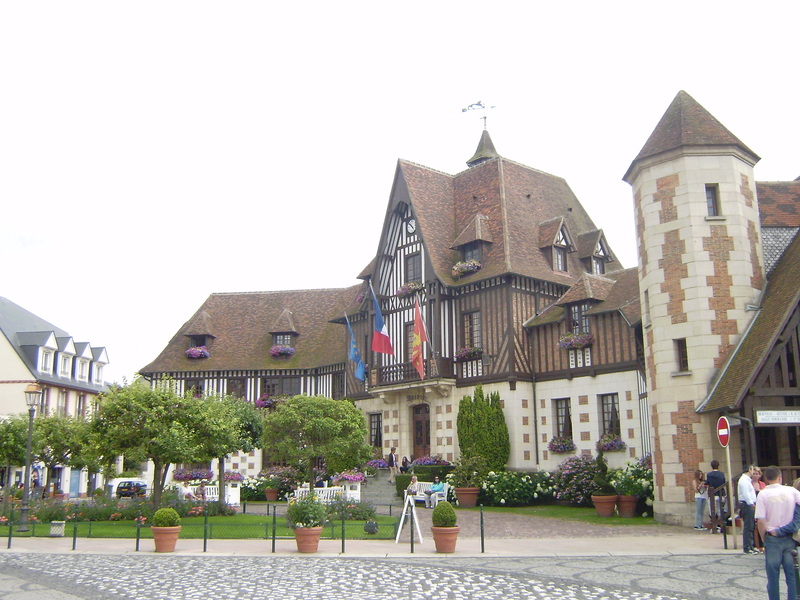 Apart from being great artists, they have also been inspired by this small tourist and farming town on the Côte d’Albâtre. 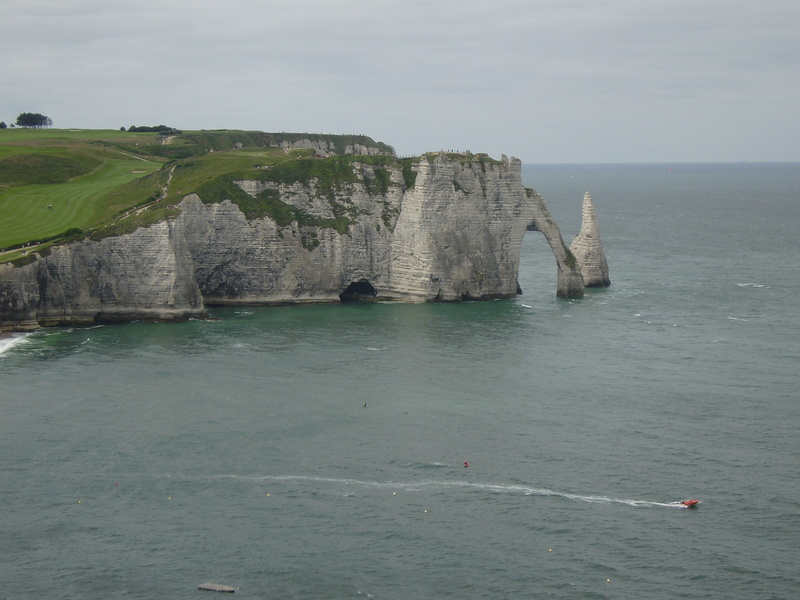 More precisely, by the beautiful white cliffs surrounding Étretat, their sharp white contours and famous arches Porte d’Aval, Porte d’Amont and Manneporte. 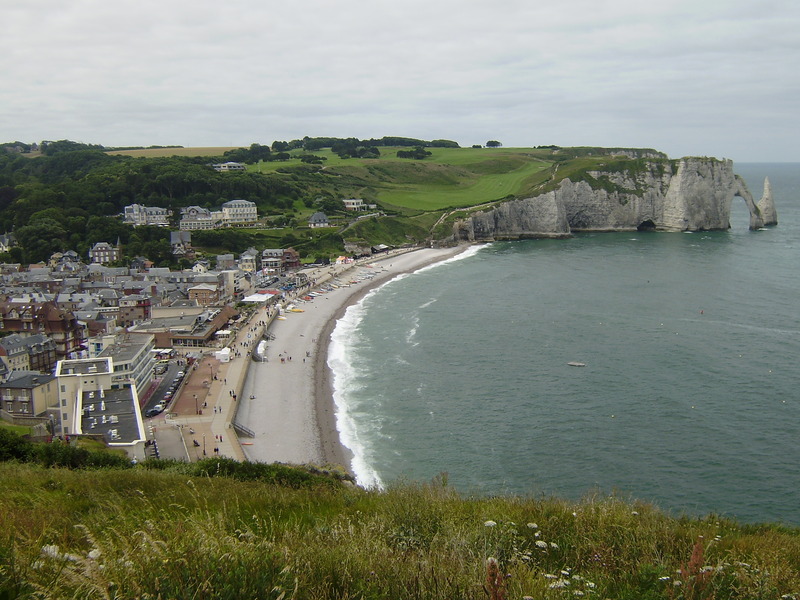 Étretat lives somewhat in the shadow of its great cliffs, not getting enough attention from the visitors. It is not strange, since the beauty of white rocks in combination of the deep blue sea and the sky and the green of the grass makes for a fascinating sight. A walking path takes you around the cliffs and helps you to enjoy the sight in its completeness. Visitors can’t help but take gazillions of photos, sit by the edge of the cliffs and contemplate, relax in the grass or get close to the cows grazing peacefully nearby. 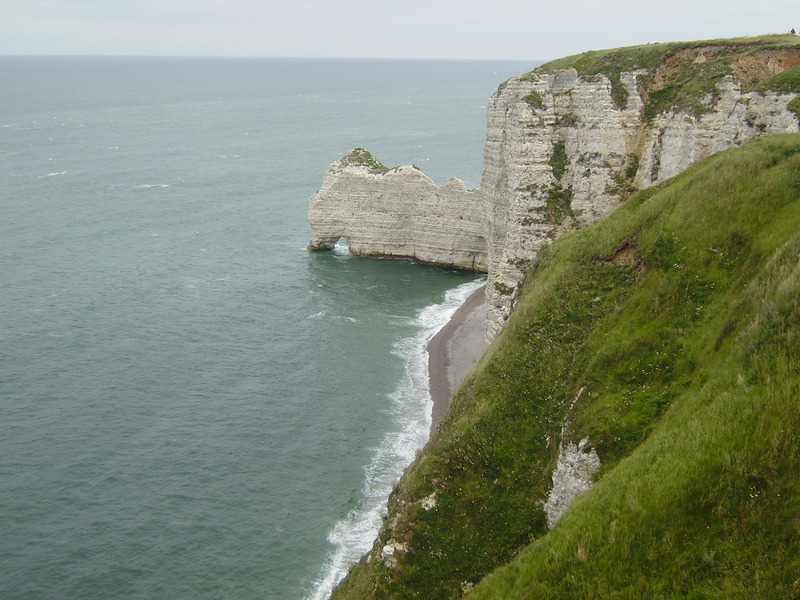 Another place, and Normandy really is full of them, where you could spend hours just looking into the distance and enjoying peace, serenity and mystical atmosphere that inspired artists throughout history. 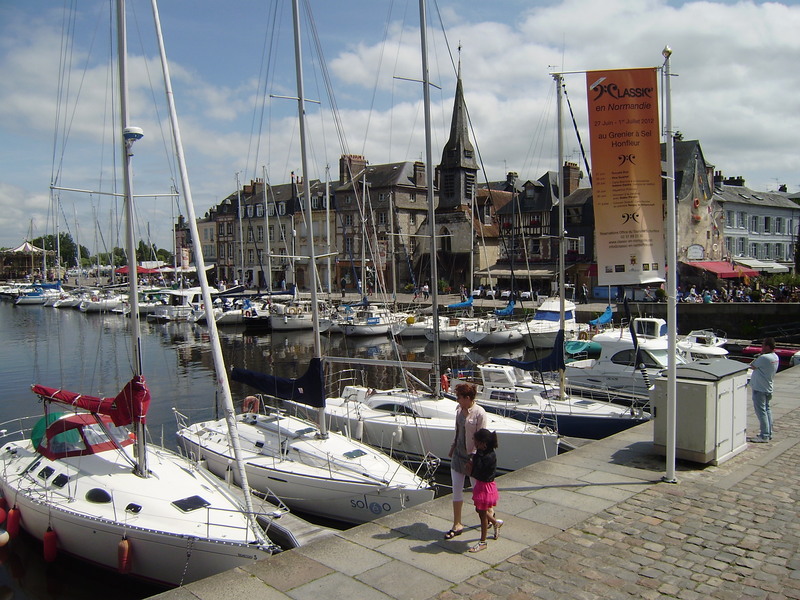 Described in various touristic guides as one of the most picturesque towns in Normandy, Honfleur is the complete opposite of the tranquility of Étretat and its cliffs. The focal point of the town is the small energetic port, filled with locals and tourists photographing colorful houses with slate-covered facades and enjoying the good life in one of many seaside restaurants offering fresh sea products traditional for the area. 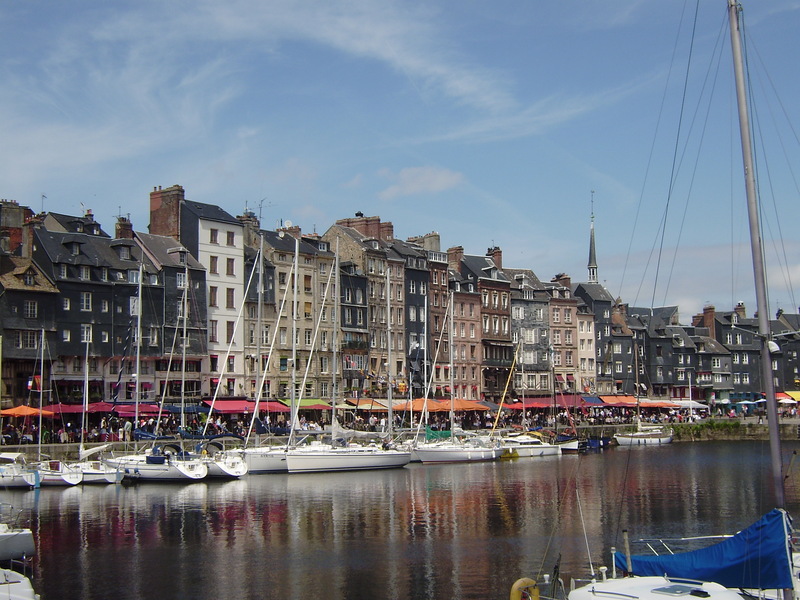 Apart from the port with loads of charm, this town is also famous for its artistic past (Courbet, Boudin, Monet and Jongkind painted there, forming the Honfleur school of artists that contributed to the appearance of the Impressionism) and Église Sainte-Catherine, the largest wooden church in France. 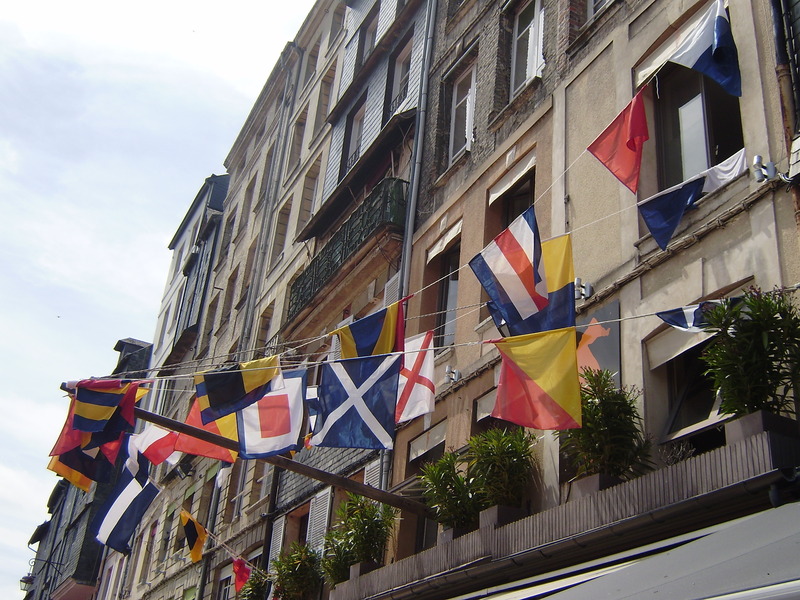 This town is indeed postcard-perfectly pretty, and the moving and chatter of people adds to the excitement of the place, making it one of the liveliest towns in Normandy, and one with most specific and positive ‘’flair’’. 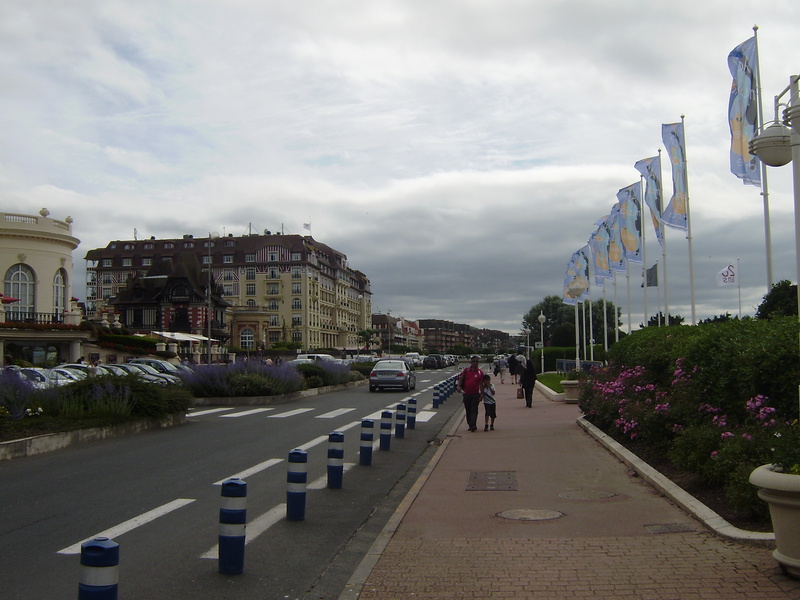 Deauville is known as the ”queen of all Norman beaches” and is one of the most prestigious seaside resorts in the entire France. The atmosphere of the town is one of luxury and richness, and the town reminds you of the old resorts of the fifties and sixties and the golden age of Hollywood’s belles and stars. The streets, houses, gardens and parks are beautifully tidy and full of flowers and strolling and people-gazing can easily take the most of your time spent in this place. And once you come to the beach… it’s a sight to amaze. The wonderful wooded boardwalk, Promenade des Planches, serves as the border between the seaside casinos and the beautiful sandy beach stretching as far as your eyes can see. The beach is perfect for romantic walks, family fun in the sand, goofing around or anything you can think of. 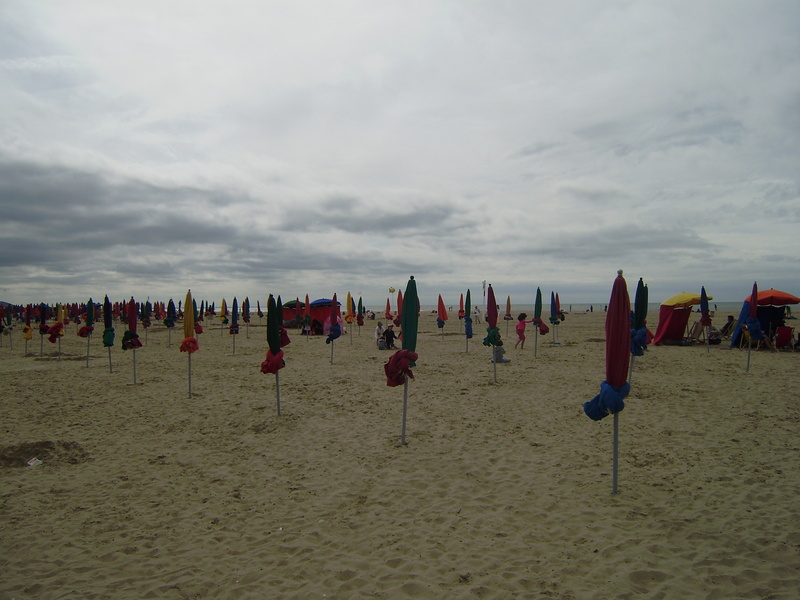 Colorful parasols and wooden beach closets dedicated to great actors remind you of the golden age of cinema and also that the town is the home of the great Deauville American Film Festival, visited by Hollywood stars every year. 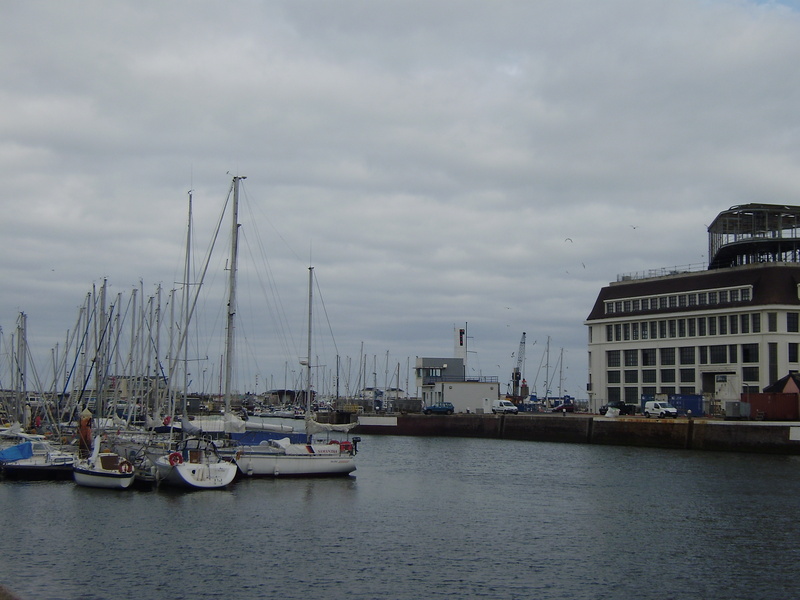 This is Cannes of the French north, and to visit this town is a must.